Everyone’s dreaming of the greatest wedding ever! Plenty of joy, laughter, memories, love… But, in order for all these things to come out as it should on a wedding day, there’s need to be lots of planning ahead and that includes lots of decision – making as well! When it comes to wedding themes, which one is your favorite? 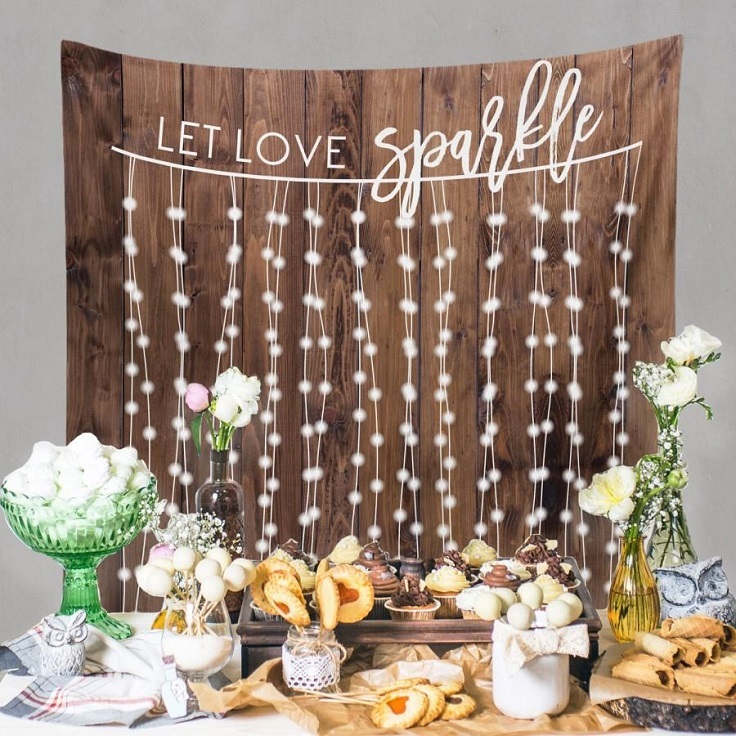 In this article, we are showing you ten ideas on how to make a perfect rustic wedding. Read along to see what kind of decorations would help you with your theme! Walking down the aisle is an unforgettable experience for few obvious reasons, but one out of the box might be exactly the decorations down your way. Why keep it decor – less, when you can add simple rustic decorations and make the walking down the aisle just like a dream? 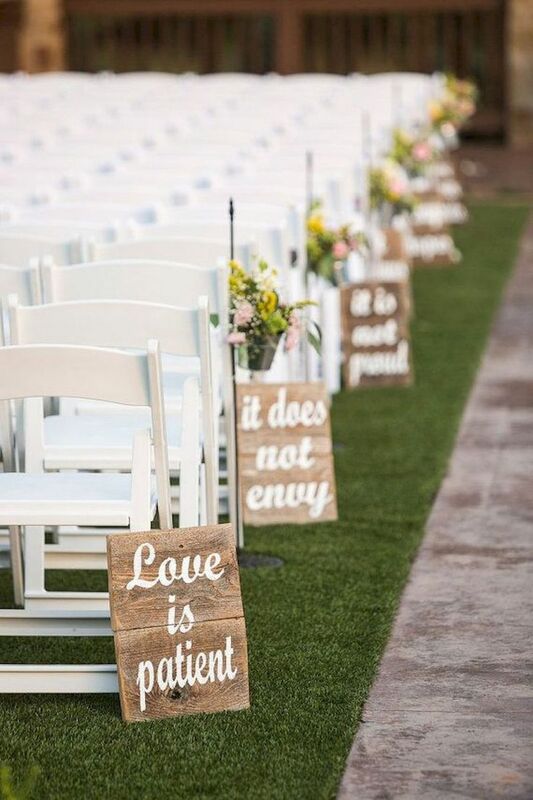 Here’s an idea for you – next to each sitting row, place wood signs with lovable quotes, and you can even add flowers as well! Having a creative food bar is one of the wedding trends extremely popular in the past few years. Since it’s rustic we’re talking about, there are so many ways to present the food and make it look amazing. You can use a backdrop like in this picture, and write down some beautiful quote or even decorate the piece. Table centerpieces are one of the most important decorations at your wedding, no matter the theme. There is plenty of choice out there, so be prepared for hard decisions to make! 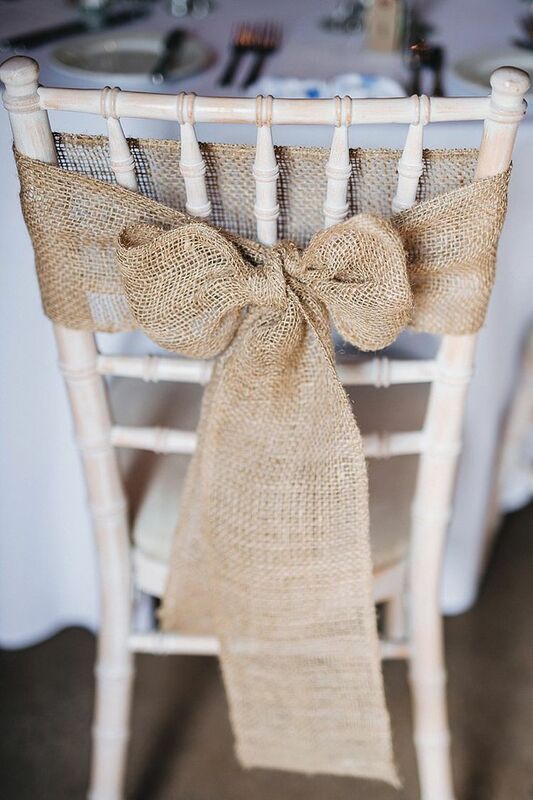 When it comes the rustic style, you can choose any decor that includes burlap and jute twine. Pick flowers (we must admit that baby’s breath looks amazing! ), add candle, a piece of wood and a bottle with jute around it and you’re done. 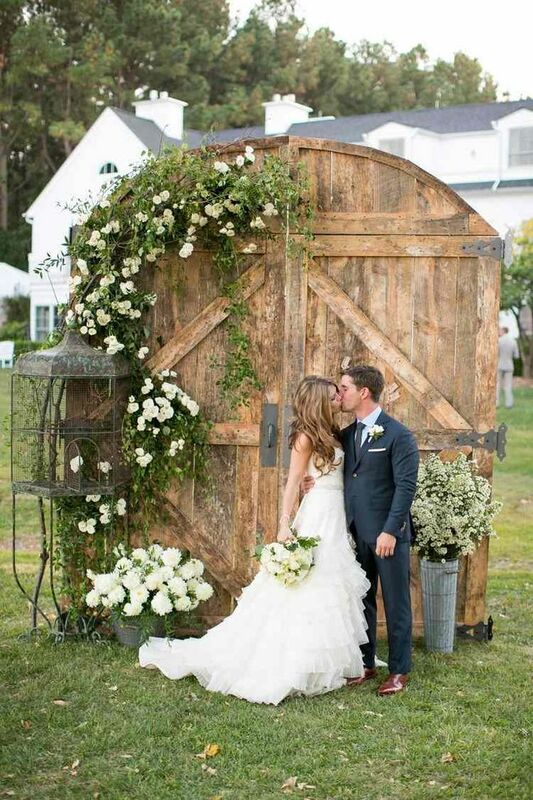 If you’re planning to have an outside wedding, make sure to include rustic elements here and there as well. They will make the venue much more beautiful and will certainly add soul to the already warm rustic atmosphere. 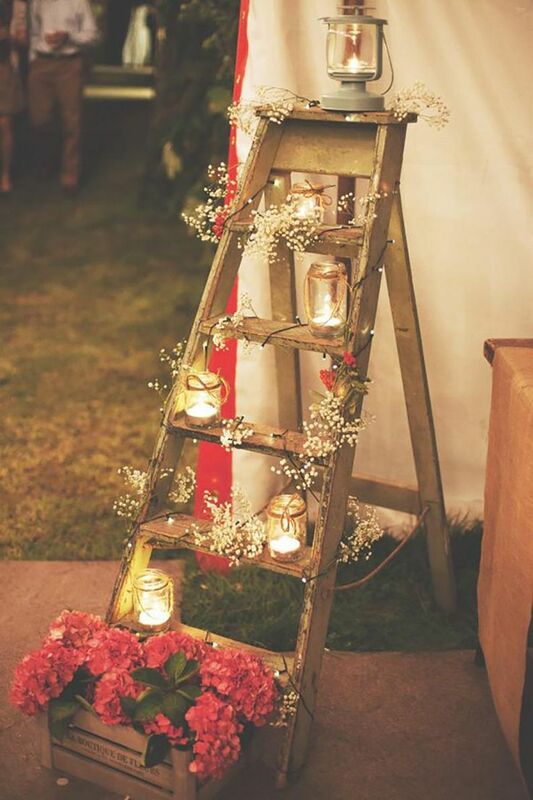 It can be whatever you like, but we have to admit that a small staircase with candles and flowers took our breath away! Since decorating the chairs is a must at any wedding, it means that even your rustic party should include rustic chairs as well. You can find many ideas on this topic, but you can notice that most of the times there is always burlap included in the decoration. It can be a combination of burlap and lace, or burlap with flowers and even if you want something so simple, it can be just a burlap bow. 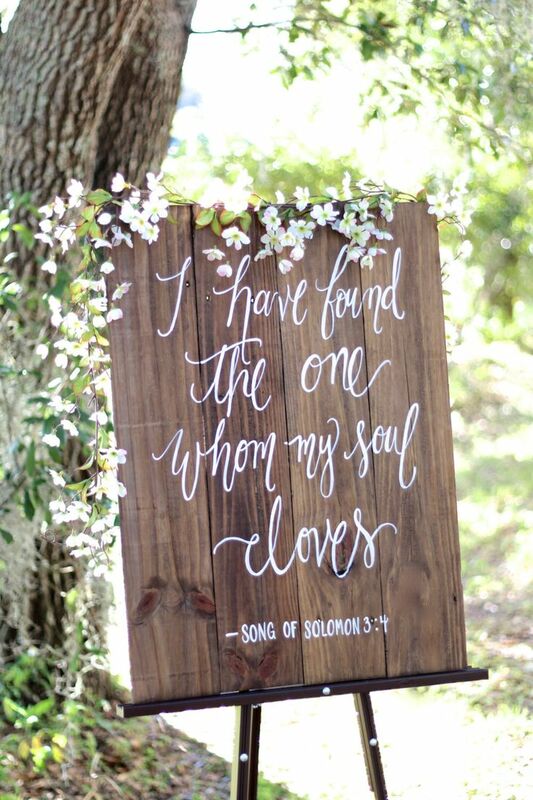 We’ve already shown you an idea that included wood signs along the path to the aisle, but you can also use wood signs just as plain decoration – write down with beautiful calligraphic letters a quote you love, or just write down ‘where to’ directions. Just use your imagination of your dream wedding! 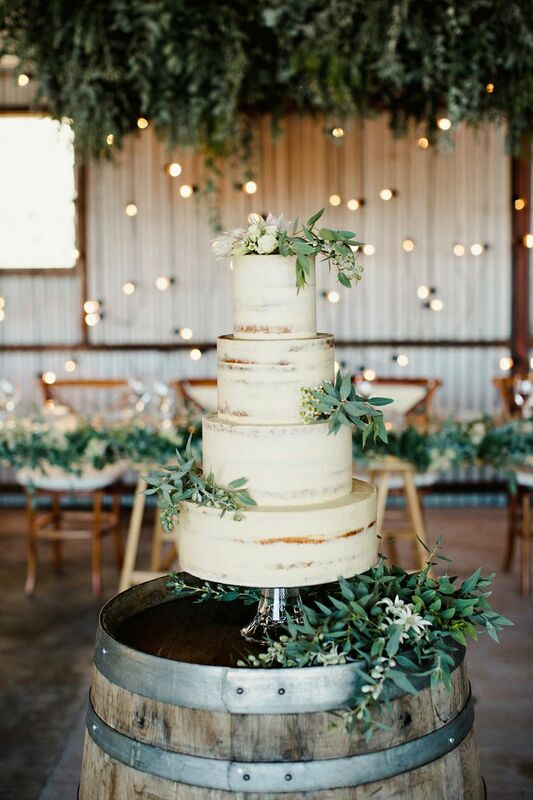 Yes, you can even pick a cake that would fit into the whole rustic thing! Forget about bold colors or big wedding cake decorations – your rustic cake should be very simple – looking, but yet made in such way that will make it look elegant, classy and of course – delicious! When it comes to the rustic style – the wood as material plays an important role here. 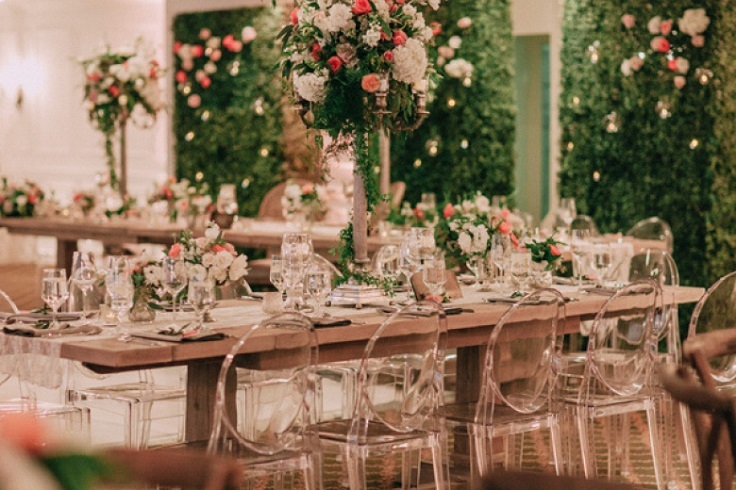 To achieve the most out of this style, try to have a venue with wooden tables. 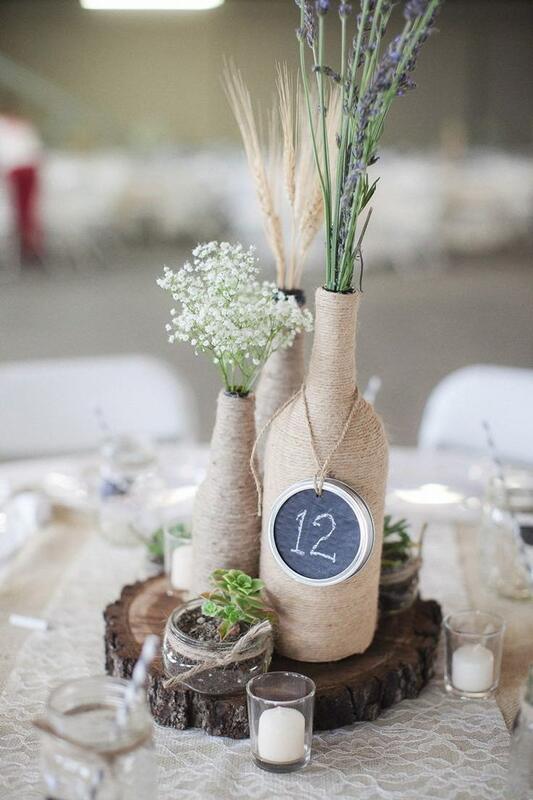 Again, you can play here with burlap as well, so try adding table centerpieces that totally fit into the rustic style. Taking the photos is such a fun part of the wedding, especially when you know that you get to create lovable memories with your closest friends and relatives. In order to make this memories even better – looking than what they already are, try adding a backdrop to your venue’s reception. Take a look at this one – isn’t it amazing? 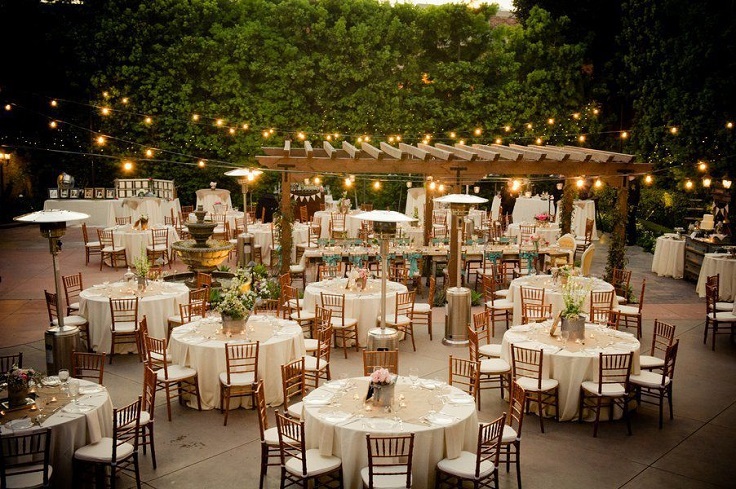 Last, but not least – in order to have the best rustic wedding, you need the right venue for it as well. Of course, with the right decorations any venue can be a good choice, but if you’re dreaming of a rustic wedding fairy tale, then you definitely should try harder. In the end, it will all be worth it! The table centerpiece and the cake – amazing! !